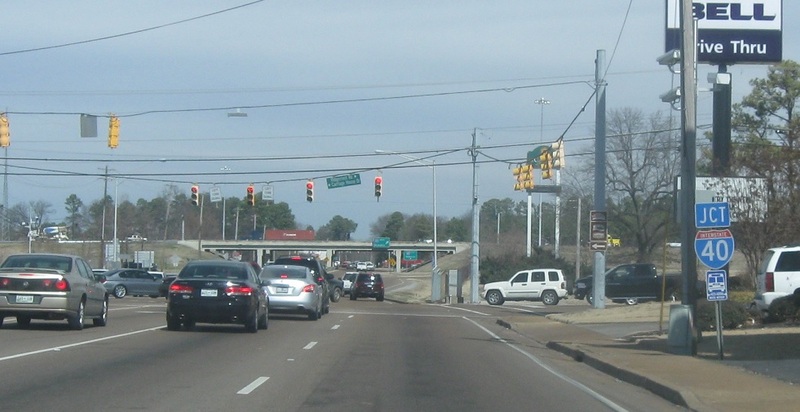 Reassurance shield after the 412 Business junction. A few blocks later, we’ll approach I-40. 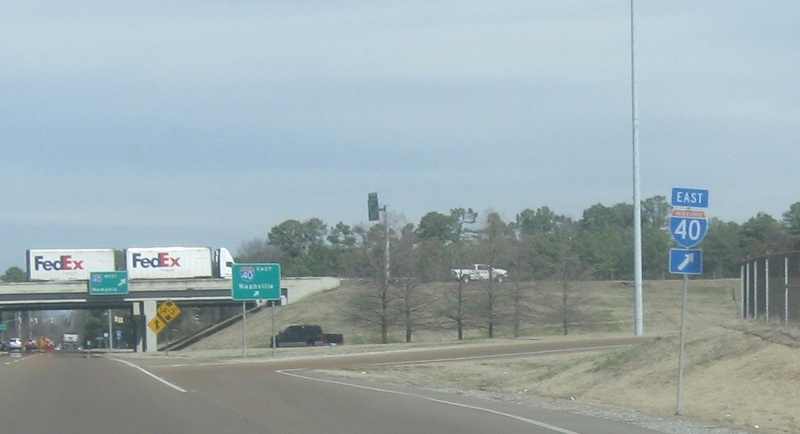 Keep right for I-40/US-412 east. 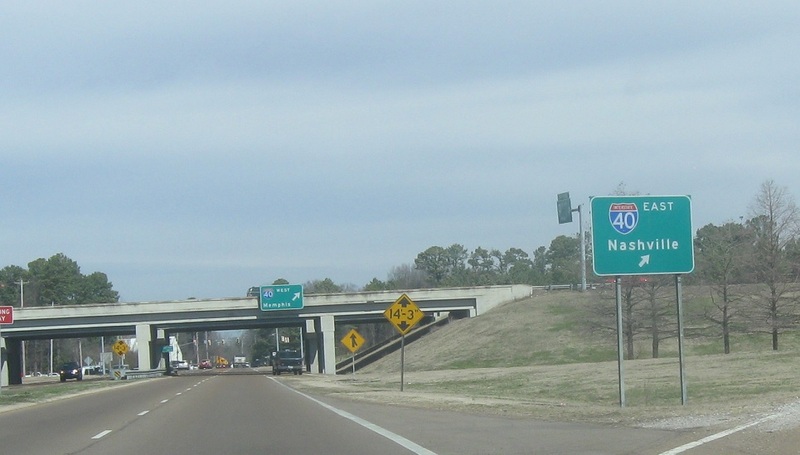 Follow 40 east to Nashville. 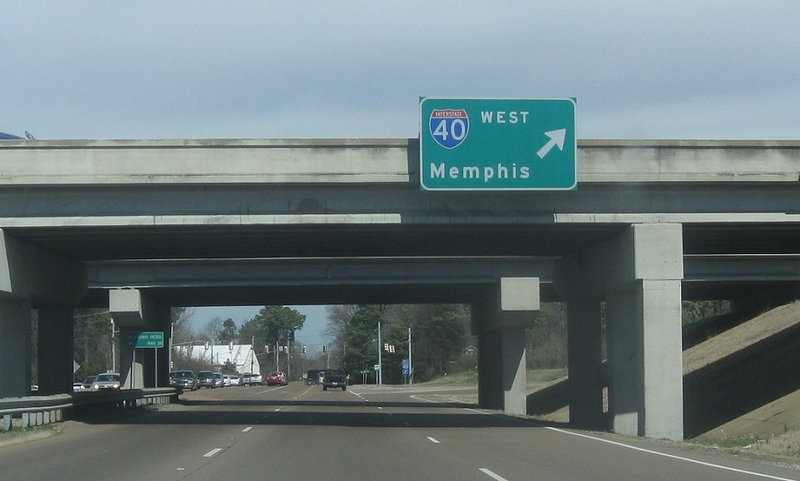 I-40 west heads to Memphis. 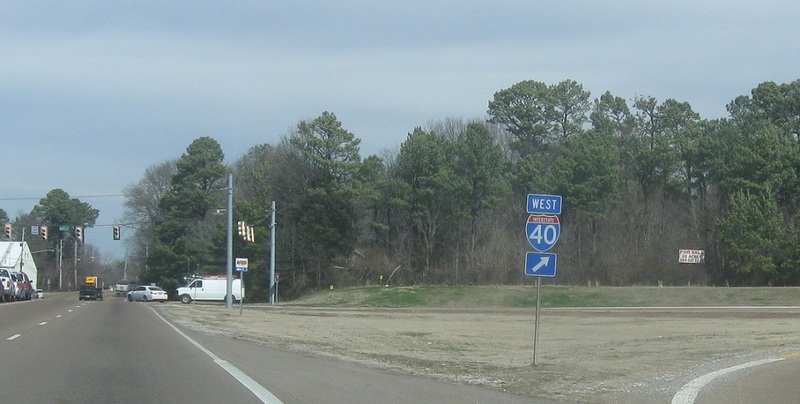 Exit right for I-40/US-412 west.